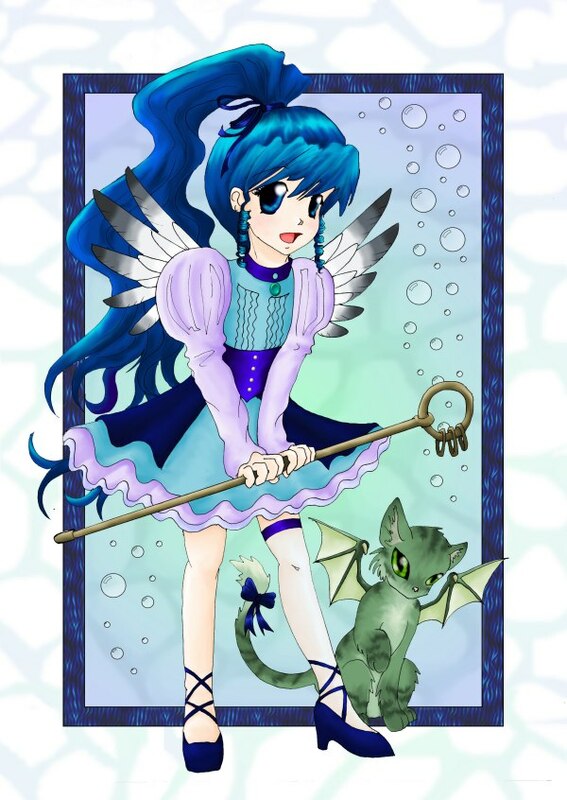 Aquamarine is a stereotypical magical girl, complete with cute mascot. She was created in 2005 as a commission for a book, but permission has been granted to display her. I was in some ways quite shocked to find myself drawing something so standard and cliche, but I was pleased with the colouring, which was done on the computer.